I the student’s workshop of the university I am studying in, I discovered some aluminum profiles free of charge. I thought, that would be a suitable construction material in order to build the cover for my Prusa MK2S 3d-printer. But I needed something in the corners, that would hold the profiles together. 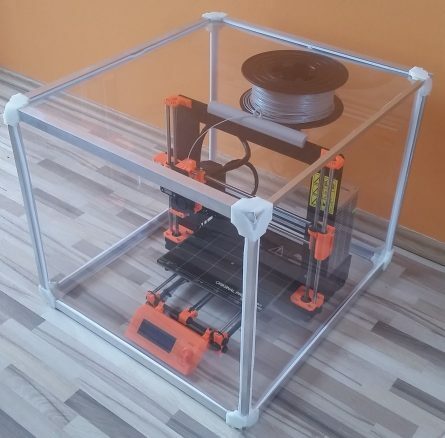 Therefore I have made this plastic-corner-design: Three aluminum profiles can be connected the same way a coordinate system has its x-, y- and z-axis. While assembling the frame, transparent sheets of plastic can be slid into slots as walls. Further more, overhangs provide support for holding such a sheet as a roof, as well. In the images every corner used is printed the same. 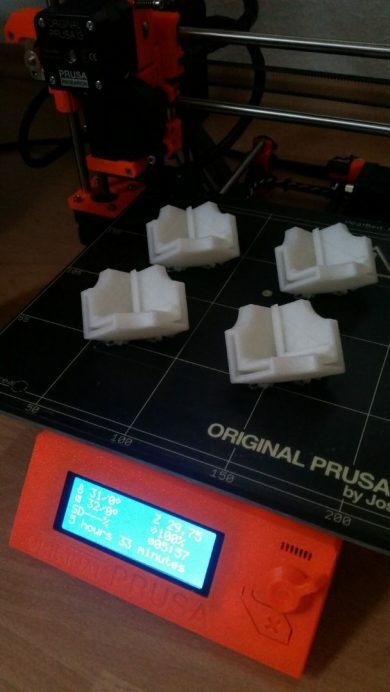 Look at the image taken after the finished print to get to know the recommended printing orientation of the part. A few supports can’t be avoided with a normal FFF (Fused Filament Fabrication) printer in the presented printing orientation. 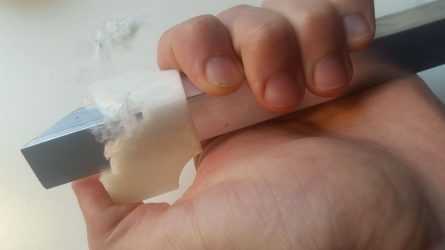 But they can be removed by just pushing the aluminum profile all the way through all of the three slots and crushing the supports.